Nose and Throat Aromadoses is a combination of essential oils used to improve comfort and hygiene of the upper airway. 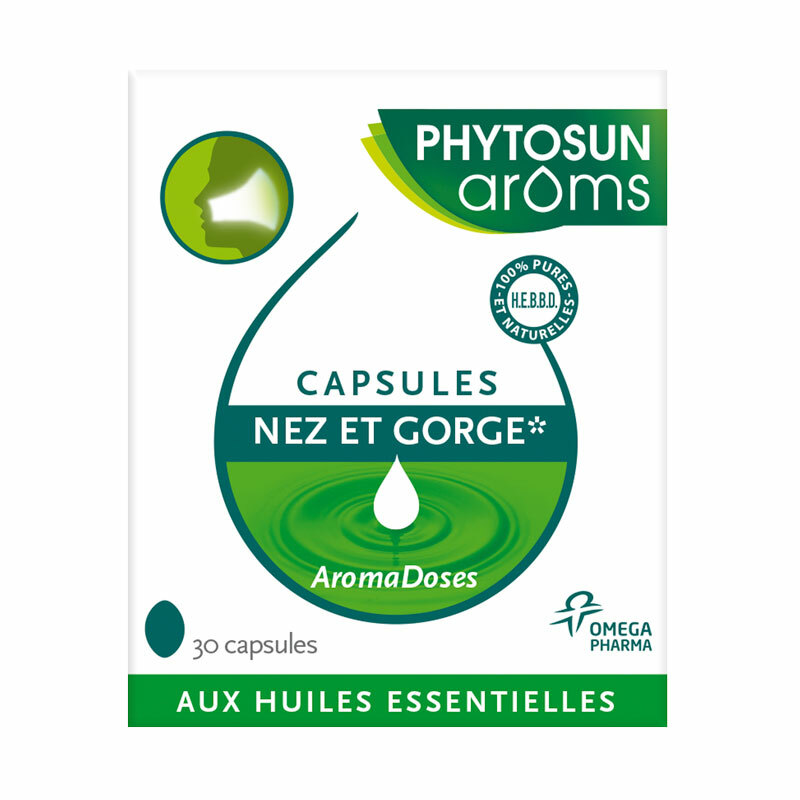 The capsules Aromadoses Nose and Throat contain essential oils complex which Thyme Essential Oil helps to improve comfort and hygiene of the upper respiratory tract. Vegetable oil Soy * (cold pressed, not after GMOs), gelatin of marine origin, Essential Oils 100% pure and natural EOBBD (Lavandula spica flowering tops *, Thymus vulgaris flowering tops, leaves Laurus nobilis *, Eucalyptus * radiata leaves, * Rosmarinus officinalis flowering tops) Glycerin, Water. Made without preservatives, gluten, artificial flavors, no lactose, no yeast, no salt. Daily dose in mg (for 3 capsules): Lavender essential oil aspic 30, essential oil deThym to 30 linalool, essential oil of Laurel 24, essential oil of eucalyptus radiata 18 Rosemary essential oil cineol 18 1.8. Take 1 capsule morning, noon and evening before meals with a glass of water for 7 to 10 days. To effectively protect you from winter colds and infections related fatigue, flu, we recommend one of oligotherapy cure with Oligocure Labcatal COPPER OR MANGANESE , effective trace elements to strengthen and boost your immunity naturally. Each reference range AROMA doses is composed of essential oils 100% pure and natural, Botanically and Biochemically Defined (EOBBD). Complexes of essential oils represent a combination of certain essential oils strengthens and targets their action on a specific pathology. Complexes of essential oils are blends of essential oils of very high quality. The mixtures allow synergy in a specific pathology. Our aromatherapy experts have selected for you blends of organic and chemotyped essential oils . Whether in massage with vegetable oils or diffusion, aromatherapy contributes to your well-being in everyday life. and cheaper than buying 4-5 different essential oils. Discover our "ready-to-use" formulas in all its forms: capsules, massage oils, Oleocaps capsules, oral ampoules, sanitizing spray , lozenges, roll-on with essential oils ... Also find a specific range developed exclusively for pregnant women. All these complexes are made from chemotyped and HEBBD certified essential oils mainly from the Phytosun'Aroms and Pranarom laboratories. Prefer a complex of essential oils relaxing with citrus and lavender if you're looking for essential oils synergies relaxation and relaxation. If you are looking for a toning effect, turn to complexes of essential oils such as mint, lemongrass or grapefruit for example. 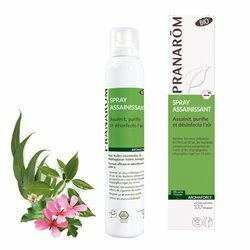 For a purifying effect for a complex of respiratory essential oils choose essential oils of eucalyptus, pine and cedar. Warning: Essential oils are powerful remedies. Ask your doctor, naturopath or pharmacist for advice on how to use them.